Australia has gone mad on gin. What was once pilloried as a “Grandma’s drink” (sorry Nana) is now the toast of the town and recently opened artisanal distillery Four Pillars is quickly making a name for itself. 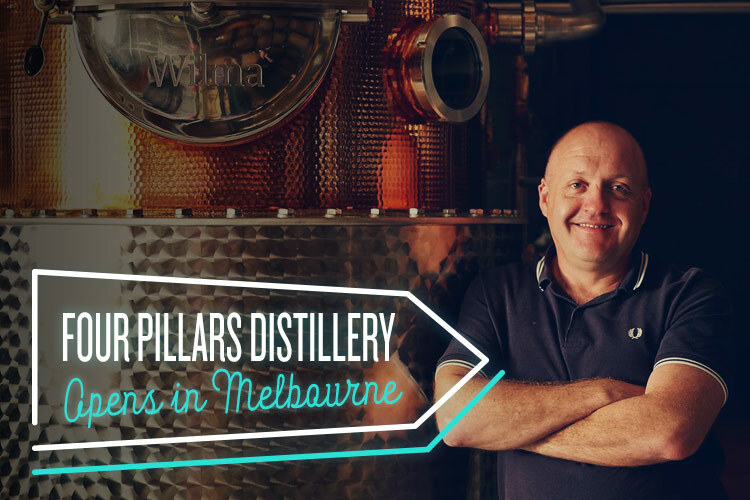 Located just outside of Melbourne in semi-rural Healesville, the distillery door – like cellar door, but for the hard stuff – may not be in the most convenient spot. However, it is more than worth the trip for some of Australia’s finest juniper juice. Open from 10:30am to 5:30pm Thursday through Monday, this is more of a weekend day trip than a late night liquor haunt. It’s still early days at Four Pillars, and these are gin purists, so don’t show up expecting an extensive cocktail list because you’ve only got four options: straight, with tonic, with ginger beer, or combined with vermouth and Campari at the ‘build-your-own’ Negroni bar. While drinking gin neat may make even the most seasoned drinkers stomach turn, or else trigger flashbacks to raiding mum and dad’s liquor cabinet as a young’un, the gin at Four Pillars is so smooth that you’ll find yourself requesting it on the rocks just so you can taste the delicate flavours, including lavender and fresh whole oranges. What’s more, although gin is as synonymous with Britishness as tea, bad weather, and the Queen, the Four Pillars crew are putting a distinctly Aussie spin on the spirit. There might not be any Akubras, but Four Pillars contains a range of native, European, and Asian botanicals, including Tasmanian pepperberry, lemon myrtle, angelica root, cinnamon, star anise, cardamom and coriander, all combined with the pure water of the Yarra Valley.